The AFLSE Scholarship for 2014- 15, covering tuition costs for a year of graduate study at the LSE, has been awarded to Adriana Lopez. Adriana Lopez was born in the U.S. but spent most of her childhood and adolescent years living in rural Mexico. Her experience growing up in the U.S. and Mexico has led her to dedicate her career to addressing migration issues and highlighting the interconnections between migration, development, and gender. 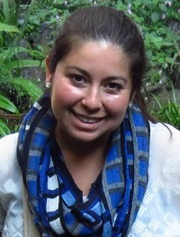 Adriana holds a Master of Social Work from the University of Michigan, Ann Arbor. During her time at the University of Michigan, she researched gender based violence in Ciudad Juarez, Mexico and examined the North American Free Trade Agreement (NAFTA) and its impact on the agricultural sector in Mexico. She earned a Bachelor of Arts in Social Work from Saint Mary’s College in Indiana and while there worked at the Center for Women’s Intercultural Leadership and interned at the office of Congressman Joe Donnelly (IN02). In 2007, Adriana spent her summer as a Public Policy and International Affairs Fellow at the University of California, Berkeley. She currently works at Kids In Need of Defense (KIND), a non-profit organization that promotes greater protections for unaccompanied children and strives to ensure that no child has to face the U.S. immigration system without legal representation. She is the Manager for the Guatemalan Child Return and Reintegration Project and works with non-profit organizations that provide education and technical training opportunities, youth programs, and psychosocial services to unaccompanied children who have to return to their home country due to deportation or voluntary departure. Prior to her work at KIND, Adriana led the Immigrant Rights Program at the Equal Rights Center, a national non-profit civil rights organization dedicated to promoting equal opportunity in housing, employment, public accommodations and government services. Most recently, her volunteer work involved co-leading a fundraiser and traveling to Southern Mexico to deliver donations to areas most affected by hurricanes Ingrid and Manuel in 2013.